Wheel alignment on any vehicle is important. When the wheels of a car or truck are properly aligned with each other, it maximises the running efficiency and reduces wear and tear. If, for example, you notice that one or more of the wheels on your car are wearing unevenly, with one side of the tread showing much more wear than the other, this usually means that the wheel alignment is out and it is necessary to realign the wheels. You may be wondering how you can know if your car wheels are out of alignment. It's easy to tell when the wheel alignment is far out. You may feel the car pulling to the left or right, and when you let go of the steering wheel when driving on a flat, smooth surface, the car will drift to the left or right, rather than drive straight ahead. You should also be able to see uneven tyre wear, usually most noticeable on the front tyres, but sometimes seen on the rear tyres as well. You may also notice that the steering wheel is no longer even when driving straight ahead. 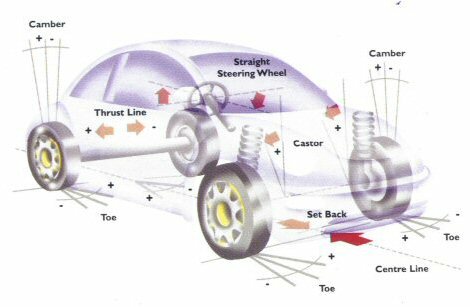 When car wheels are not properly aligned, it will mean that one or more wheels will wear unevenly. The car might not steer properly as well, which could be the cause of an accident, especially if the alignment is considerably out. A car that oversteers or understeers is difficult to control properly in bends and tight corners, especially at speed. This should not be the case, however, if the car wheels are properly aligned. Uneven tyre wear on the fronts or the rear of the car. If you can't visibly see the wear, run your hands over the tyre and you can soon feel where the rubber has worn excessively, on the inside or outside edges. Warning - Be careful, in extreme cases of excessive wear fine wire may be protruding from the rubber. The car pulls to the left and right, when coasting. When driving along a straight flat road and you either need to compensate through the steering to keep the car driving straight, or the car drifts to the left or right under braking. A crooked steering wheel. The steering wheel is not straight, even when driving straight. 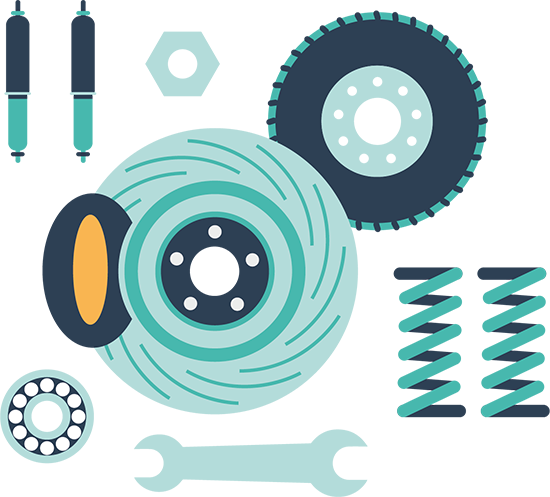 There are many benefits to having properly aligned wheels on your car. For one thing, it is much safer. You will also save money through not having to buy new tyres, because of uneven tyre wear, before you should need to. Your car will also drive more efficiently, which in turn will save you money in reduced fuel costs. There is a safety issue with a car that has its wheels badly misaligned. You will find yourself constantly having to compensate for the misalignment, and while that might be possible when driving straight ahead, it will become difficult and potentially very dangerous when cornering. This is especially so when driving fast, and losing control on a bend is a very real possibility with misaligned wheels. A pre suspension system inspection is part of the full alignment procedure; so helps to highlight any worn or damaged parts before they cause a more costly problem. 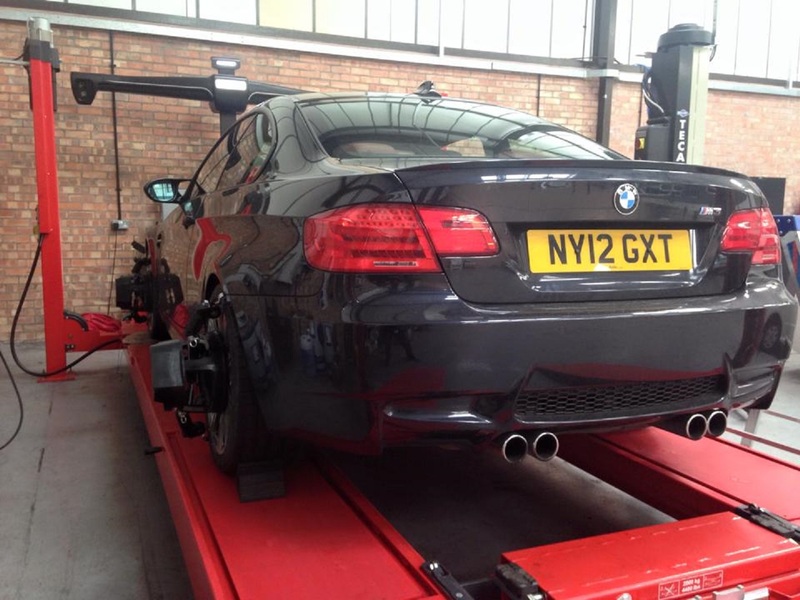 Many handling problems can be corrected by a four wheel alignment and with the geometry aligned properly to the motor manufacturers specifications, you can enjoy that new car feel! Birmingham, Britain's second largest city, has some of the country's finest wheel alignment specialist experts at MotorServ UK. 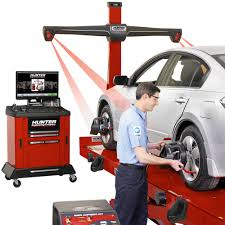 If you are not sure whether your car wheels are properly aligned or not, you can have them checked at MotorServ UK to put your mind at rest. Wheel alignment Birmingham is an inexpensive procedure that doesn't take long, but it will let you know whether your car is safe to drive or not for you and your family. A 4-wheel alignment check will also be able to spot any worn or damaged parts that may cause problems in the future, thereby potentially saving you money by not having to pay for costly repairs later. If you want to save money and have a safer car for you and your family, call MotorServ UK on 0121 581 0654, or pop along to our main branch at Unit 26, Monkspath Business Park, Solihull, West Midlands.